Absolutely! My experience is that most new businesses are started by modest, shy people who wanted to make a difference, rather than by showy extroverts. There is a myth perpetuated by business programmes on television that entrepreneurship is all about ego, greed and shameless self-promotion. The reality is very different. While it is very important to engage with customers, invariably they are looking for someone they can trust, rather than someone they feel is only interested in selling to them. All good business ideas start with identifying a particular problem or opportunity, something that is not being done well enough, perhaps in a local geographical area or for an identified community of like-minded people. What the aspiring entrepreneur needs at this stage is a well thought-out solution to that problem and the confidence to give it a try. Successful entrepreneurship is all about keeping promises; shy people with a genuine passion and proven delivery skills represent authenticity and a safe pair of hands, someone who can be trusted to deliver. I advise entrepreneurs to try to sell to their friends first, on the basis that if friends will not purchase the product or service, then it is unlikely that strangers will, later on. ‘Friends’ include your own personal peer group as well as any business contacts you have met along the way, and with whom you have developed some personal empathy. Often an introvert teams up with an extrovert, forming a balanced team who first make promises and then keep them. But many owner-managers prefer to operate as sole traders employing sub-contractors as required, using the Internet as a shop window for their products and services. 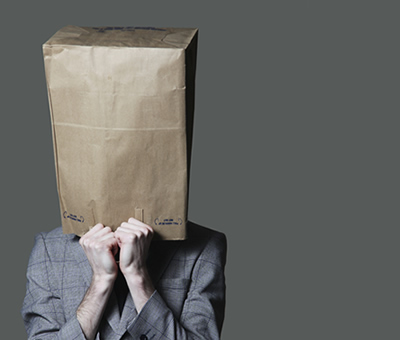 Shy people can operate very successful businesses this way, with minimal client contact. This can be effective for a time, but there is always the risk that someone else might pop on the Internet offering something better and cheaper. On-line marketing activity must always be balanced with some off-line, face-to-face promotion. Introverted people tend to avoid networking events, but they should focus on attending those that feature other modest, shy people, just like themselves.